As many Singapore drivers would already know, Malaysia isn’t exactly the safest place for a Singapore car to be in. Every year, we read about many horror stories of Singaporeans having their cars stolen while driving in Malaysia. 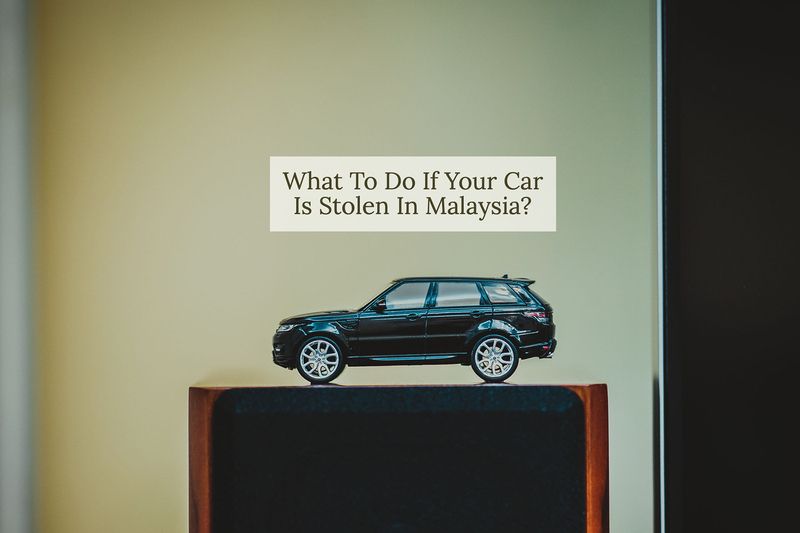 But what exactly happens if you drive into Malaysia and find your car stolen, whether forcibly taken from you or stolen while you were not around? To put it plainly, having your car stolen in Malaysia is a terrible situation find yourself in. You are likely to be panicking and this only becomes worse if you have young children or elderly family members who are also stranded with you. If you find yourself panicking, you won’t be alone in doing so. Most people do not have any prior experience in having their cars stolen before, let alone in a foreign country. However, there is no point in panicking any more than you need to. If you are travelling in a convey with other family members and close friends, then you have some decisions that you are able to make. Assuming your passport is still with you, you can decide for some family members to head back to Singapore first with the other Singapore cars travelling with you or find a safe place to stay for, if option 1 isn’t feasible. If your passport is missing, you need to contact the Consulate-General to apply for a Document of Identity in order to get a valid single journey trip back to Singapore. Concurrently, you should call the Malaysia Police (999 or 112) as quickly as possible. While the chances of recovering your car back is slim, the Malaysia police are, at this point in time, the best people to advise you on your next steps. Aside from providing you with immediate assistance, contacting the police is important, since you need to make an official police report anyway in order to claim from the insurance companies. When you are back in Singapore, do also make a police report with the Singapore Police. Extent of the insurance coverage will vary, depending on the type of motor insurance coverage that you buy. Your coverage in Malaysia will however be similar to the kind of coverage that you would have enjoyed in Singapore. For example, if you only bought Third-Party Coverage for your car, well…tough luck. If you bought Third Party, Fire And Theft or Comprehensive Coverage for your car, then it’s likely you would be able to claim on your motor insurance policy. Depending on your insurance policy, you may be able to receive a full market value for your stolen car. However, do note that your definition of “market value” may be significantly different from the “market value” pay out that an insurer would give you and you may find yourself incurring a loss of at least a few thousand dollars, if not more. You may need to file a report to the insurance company within 24 hours of the event. So, pay close attention to the specific requirement as stated in your motor insurance policy when you buy or renew it. You may also want to keep receipt of any expenses that you incurred due to the incident as they may be claimable expenses, depending on your insurance policy.